The fouta towel Chevron design Sky,is a fouta of mechanized manufacturing, in reliefs of Chevron design with light stripe. 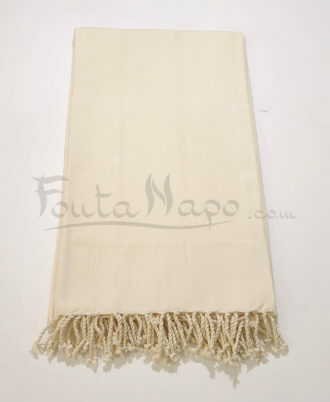 The fringes are hand knotted by women. 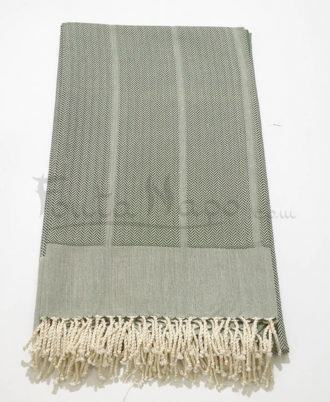 The fouta chevron is soft, sober and elegant. 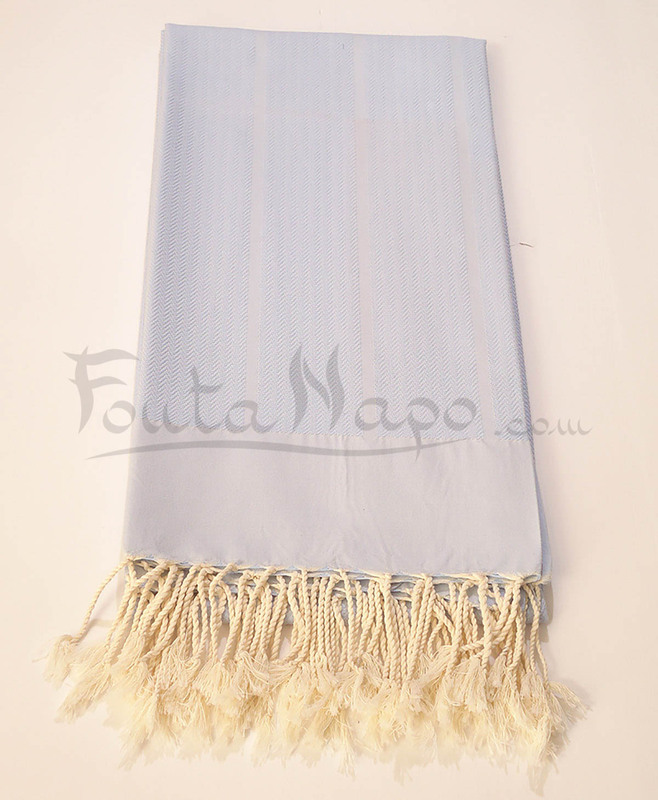 In the past, this fabric is used only towel for hammam. Nowadays, the Fouta has become an indispensable accessory, used on the beach, on the pool or at home.